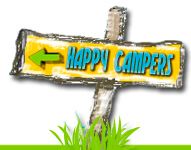 Weekly Counselors In Training (CIT) rate – Age 13 – 15 years old is to be paid per week for each camper registered. Don’t forget to download and fill out the appropriate Registration form from our Register page. *Campers first and last name and age must be entered in order to check out.